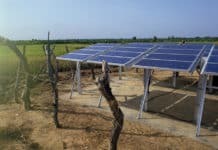 Africa’s low levels of energy access provide a good opportunity for power solution providers and solar power is now proving to be a one of the most convenient and affordable sources. However, bringing this self-evident opportunity to consumers will require the use and deployment of very creative commercial models. In other words, solar power’s usefulness cannot inherently market itself. 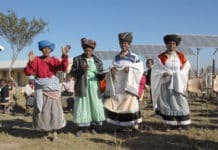 System providers in Africa are discovering that the nature and attractiveness of the products and options that are offered to potential and current solar power consumers may be the fundamental question in growing consumer orders. 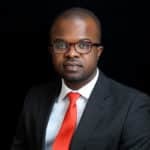 As competition gradually intensifies and the race becomes swifter within the solar power space; how can solar firms optimize the attractiveness of solar offerings and what are some of the existing commercial models for consumer acquisition of solar power in Africa? How to optimize awareness of the available solar packages, especially in areas with limited access to mainstream media and other alternative communication channels. How to collect payments effectively and seamlessly in otherwise unbanked or poorly banked communities. While these challenges are distinct, some market players are now considering strategies and tool that are capable of addressing them simultaneously. Can market players use a single channel to sensitize current and potential consumers of off grid solar power? Enhance pricing for products? and simplify tariff payments to the convenience of the remote consumers? Here in lies the growing marriage between solar power, mobile phones and their telecommunication service providers. According to GSMA, by 2020 an additional 168 million people will be connected by mobile services across Africa, raising mobile penetration from 80% to 93%. This growth provides a very critical tool for scaling off grid solar power access in Africa. By partnering with several telecommunication service providers, marketing information and solar-use sensitization data can be effectively and affordably delivered – personally in most cases – to millions of subscribers in remote locations, who ordinarily would have little or no access to mainstream media. Without proper sensitization the growth of solar in Africa may stall, since both ignorance and user-bias may continue to raise rejection rates for solar products. 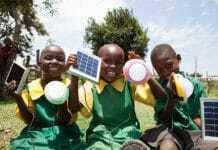 Furthermore, the energy consumption pattern and needs of several households and businesses in rural communities are minimal making them the prime customers for small capacity solar lighting products that are now proliferating in Africa, but this information must be quickly passed to the unaware consumers. While company-specific marketing and sensitization strategies are effective, industry wide programs that take broader advantage of mobile phone ubiquity will be needed to break harder barriers and accelerate solar information sharing. Outright purchase of solar lighting equipment may still pose some challenges for low income earners. This begs the development and use of well-structured product offerings and packages to attract consumers. Some of the growing trends include the lease to own model, where consumers can work towards the eventual ownership of solar systems through periodic and smaller payments (often structured for 12 to 24 or 36 months). This model uses the now very popular Pay As You Go (PAYGO) solar which is a payment model that appeals to middle income earners due to the installment option and limited initial capital outlay for solar products. Furthermore, some solar firms are now bundling other household goods such as television, fans and refrigerators that benefit directly from solar powers availability. Other non-solar-related equipment such as cooking apparatus is increasingly being added too; to raise consumer appeal. It’s becoming evident that the diversity in income levels and energy use patterns also makes it imperative that diverse product procurement packages – that attempts to cater for a broad spectrum of consumers – are better positioned to win in the market. Since telecommunication companies have successfully embraced fintech across several markets in Africa, tariff collection for solar power subscribers (across divers’ product packages and offerings) has been simplified. Several innovations around the use of telecom platforms to collect solar power consumer tariff have arrived the market in Africa. These innovations are facilitating the possibility of collecting PAYG- modeled installment payments (daily, weekly or monthly as the case may be). Fintech options ranging from mobile money to the use Of USSD codes and telecom voucher-enabled payment solutions are now rife in the region. Consumers, who are also existing mobile subscribers, can no longer decline to acquire solar power products because of the hassles of tariff payment, which they may anticipate in areas without conventional financial institutions such as banks.